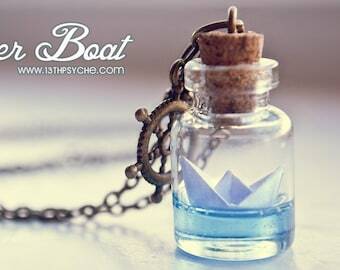 A beautiful handmade tiny glass bottle necklace with a Paper boat inside. The water is made with dyed epoxy resin. 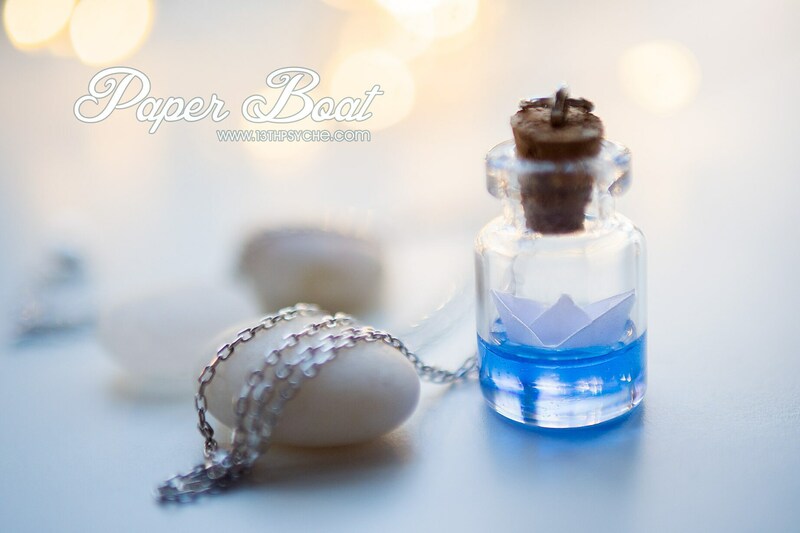 Paper boats are individually handmade too. 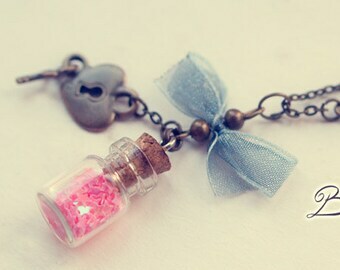 - Necklace length: around 50 cm (19,69 inch approx.). 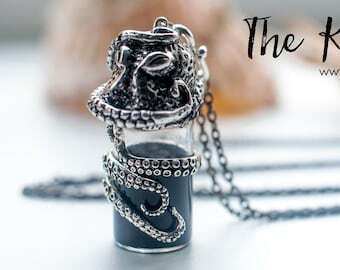 If you need a different chain length, please write me to make a custom listing :). 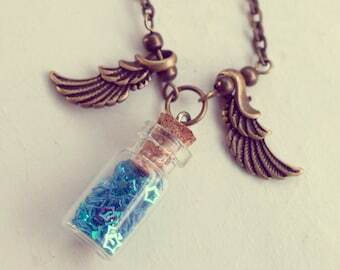 - Vial size, without Cork: 24x16mm . 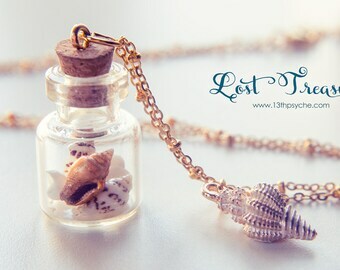 ◆ Golden paper boat necklace: https://www.etsy.com/listing/235145584/golden-paper-boat-bottle-necklace-ocean.